Burnley host Cardiff City in a six-point fixture at Turf Moor on Saturday. The Clarets could almost seal their Premier League survival with a win. A loss would usher Cardiff City closer to the Premier League relegation trapdoor. The Bluebirds are five points behind 17th-place Southampton and time is running out for a great escape. Neil Warnock’s team have lost five of their last six matches. After a brief upturn in results, the Bluebirds have crashed back to the ground. Three of Cardiff City’s five losses saw them held to clean sheets. Meanwhile, manager Sean Dyche has corrected the sinking ship that was Burnley. The Clarets are playing far better than just a few weeks ago and they are getting results. Burnley are undefeated in five of their last six home matches with three of those games resulting in victories. Last time out, Burnley defeated Wolverhampton Wanderers 2-0 at Turf Moor. Cardiff City have claimed just eight points on their travels. Their last two away fixtures ended in losses with both games seeing Cardiff City lose by 2-0 scorelines. The last Premier League match between Burnley and Cardiff City ended in a win 2-1 for the Clarets. Burnley’s Johann Berg Gudmundsson opened the scoring in the 51st minute before Josh Murphy equalised for Cardiff City nine minutes later. The Clarets pulled ahead for good on 70 minutes thanks to a Sam Vokes’ strike. Cardiff City lost striker Callum Paterson to an ankle injury for the season. His absence will have a massive effect on Cardiff City’s attack. Paterson had tallied four goals this term. Jazz Richards is a major doubt for the match due to a hamstring injury. Cardiff City are already capable of giving up goals having conceded the third most in the league (61). Richards’ absence leaves Cardiff City without one of their experienced centre-backs. Burnley could be without Phil Bardsley due to a cut on his leg. Meanwhile Steven Defour and Aaron Lennon are still a little way away from returning from their respective injuries. Cardiff City are struggling at the wrong time of the season and away fixtures have not been kind to them. Burnley, on the other hand, have picked up their play winning back to back fixtures. The Clarets won away at Cardiff City Stadium earlier this season, 2-1. On Saturday, the Clarets will once again clip the wings of the Bluebirds as they put two goals in the Cardiff City net. 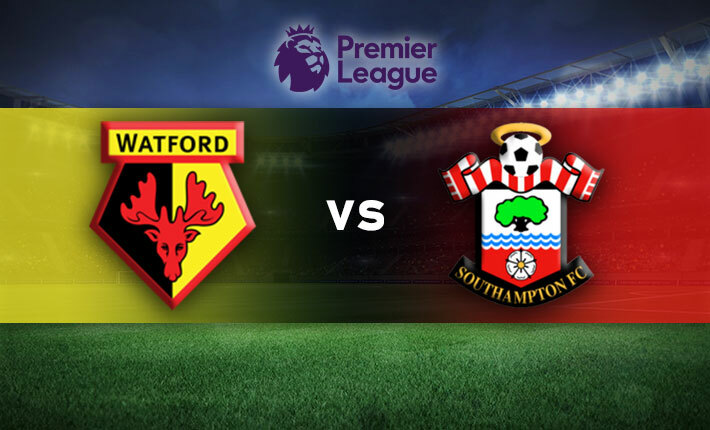 Watford host Southampton at Vicarage Road on Tuesday night in the Premier League. The fixture is vital to both sides but for different reasons.